This morning I have a heap of plans I want to execute however the comfort of my bed is winning. I need to duck out and pick up a new external portable hard drive. The one I currently have has died and I need to try and remove all that was on there, onto a new one which could prove difficult due to the fact my laptop doesn’t read it. 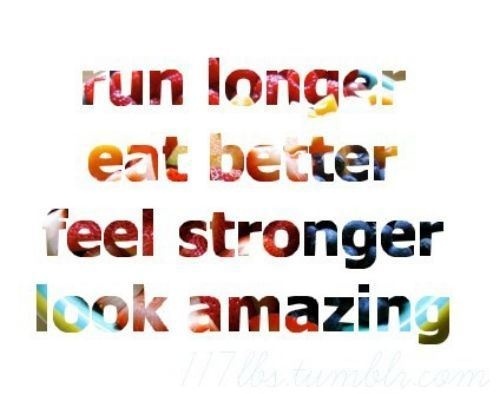 Second, I need to go for a run this morning, even if its only 10 minutes. Hoping 10 minute spurts will keep me motivated for the moment. Who knows, I might run a little longer once I’m on the treadmill. Third, I need to find some new recipes for lunches next week, Tuna and corn for lunch doesn’t inspire me every day so that’s when I start to drift off track. I’m thinking of cooking some quinoa and mixing that in some kinda of salad. It should be able to cook while I do that 10 minute run. I am hoping however, I can get some kicking practice in while we are at football, That’s a directive of my physio so I’ve got to at least try do it. It does make me happy to kick a football again. It feels like little bursts of freedom coming of my boot, waiting to be caught and taken advantage of. Also, found this event. Totally want to do it so gotta do a little more research but pretty keen. Take a look. Don't be selfish, share me! !